Ngembak Geni is the day after the Nyepi Day. When Catur Berata Penyepian is over, Hindus societies usually visit to forgive each other and doing the Dharma Canthi. Dharma Canthi are activities of reading Sloka, Kekidung, Kekawin, etc. (ancient scripts containing songs and lyrics). Bali has many unique traditions and this one, is on top of the list. The Omed Omedan is a kissing ritual that is over 100 years old. Like many other celebrations, the event takes place annually held after Nyepi day (Balinese-Hindu Çaka New Year). The celebration occurred in Banjar (Hamlet) Kaja Sesetan village, in Denpasar, and originally only the people from that village could participate. It is not clear when mass kissing was incorporated into the tradition, but it has become a ceremony for the youths of the village to express their joy on the first day of the new year. The event kicks off with a blessing for the New Year. Once the prayers have been conducted, boys and girls from the village are divided into two groups—separated by facing each other. At a signal from the leaders, both sides approach each other, and participants start to “pull and pull,” hug and kiss. The spectacle is both exciting and funny. While the boys and girls are kissing and hugging, the crowds pour buckets of water to the participants. According to the locals, the spiritual aspect of this ritual is that the pull and pull represent the taking of positive energy and the letting out the negative energy. Some have also said that the ceremony have become a successful platform for the singles to find their future partner. 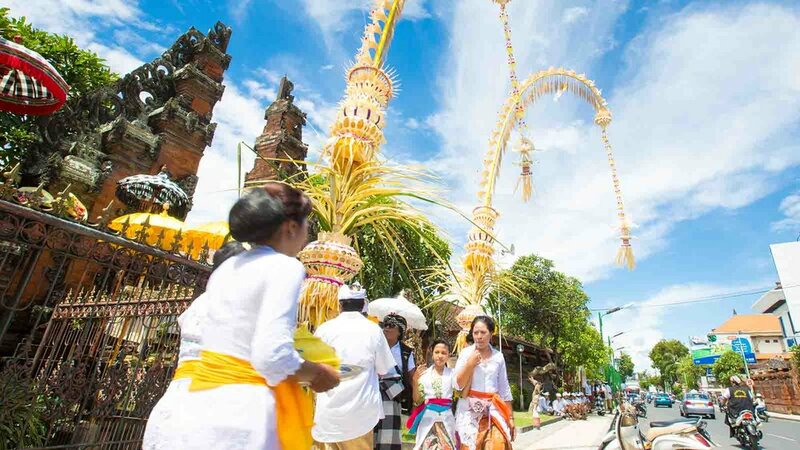 In Balinese culture, you can find many ceremonies and events which are spectacular to see. Many have become famous all around the world, but if you look deep into each village, you can find a culture that is unique to Bali. Omed Omedan is a good example of this. 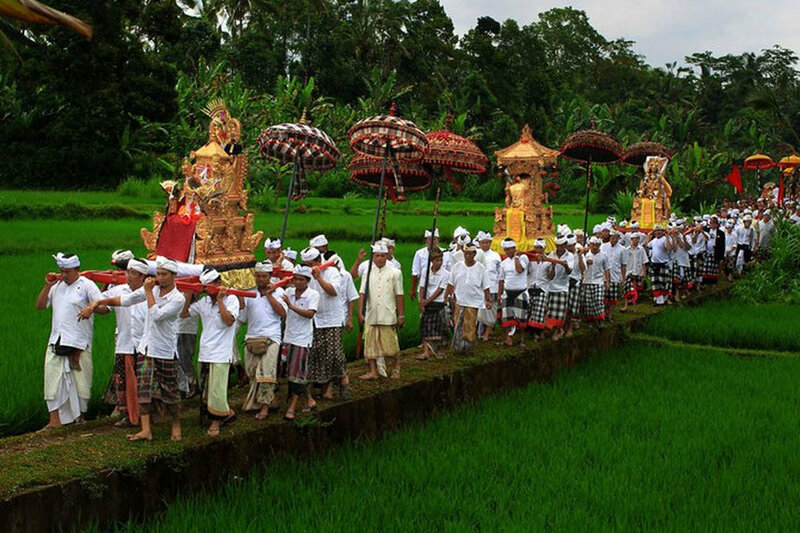 Travel to the Sesetan village and join the celebration of Love, a must see event when you are in Bali! Visit Sesetan village and join the celebration of love!